Nature is a great source of inspiration, so we always want to have it very close to us, either in the front of the house or in the backyard, because of its importance and everything it represents—the energy, the beauty of the plants and being in tune with the environment around us. When you want to improve your home, give it this gift full of colour to set the house apart, and so you can enjoy a completely renovated place just for yourself. The courtyard is an area where you can relax healthily, exercise, and even read your favourite book. 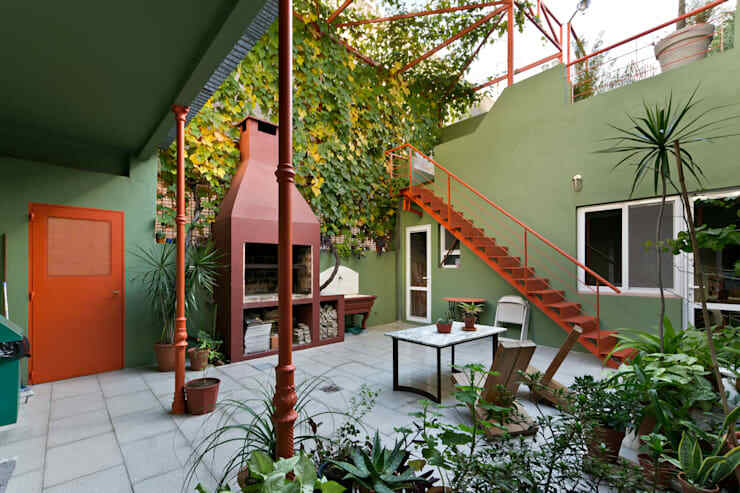 For these reasons, today we invite you to discover the advantages of having a courtyard at home in our wonderful ideabook we have for you! 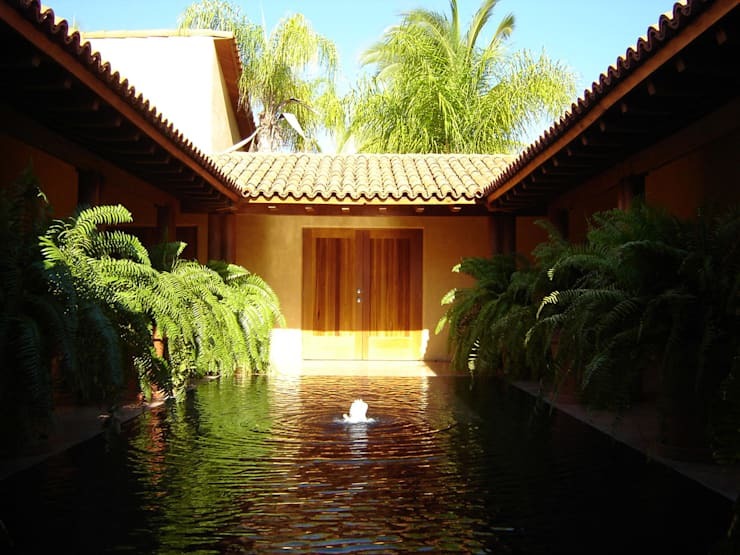 When it comes to renewing the courtyard, you have to know what style you are going to develop in this area. It is important to know about the species of plants you are adding, what kind of maintenance it would require, and other decorative elements. There are a number of styles which would be appropriate for such a space, like minimalist, rustic, industrial, classic and even vintage. You can analyse what is better off in the area and the house in general, and owners usually choose colours that are used inside the house to get uniformity in all areas. Colonial houses always have a more mysterious and appealing touch that can be exploited of and used to your advantage. 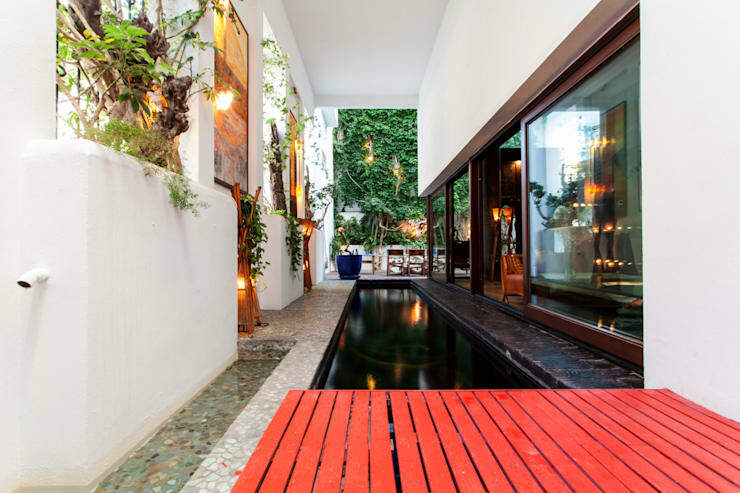 Just look at this case presented by the expert, Marcelo Bicudo Arquitetura, where they have used this ancient source as its key differentiator by recovering it and giving it the prominence it deserves. The tiles are the most typical element, like the stone floors. If you want your plants to stand out, then painting with bright colours for contrast will do the trick. 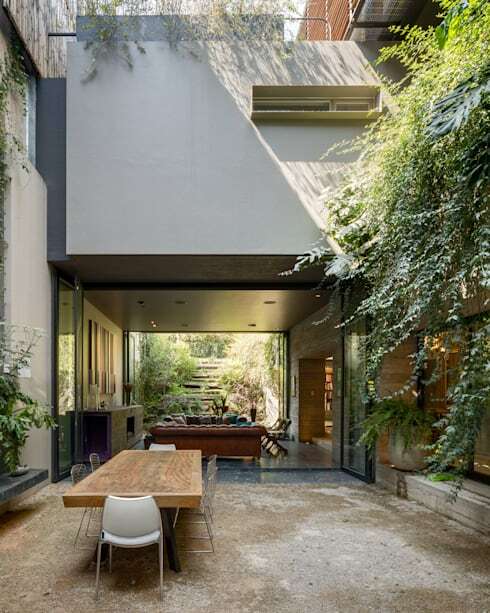 For a stand-out courtyard, everything should be surrounded by plants, as this will make it cosier and more beautiful to look at, especially when you particularly enjoy a place like this. The choice of species will depend on the climate where you live, you can't just choose tropical plants while you live in an arid region! Opt for species that occur in your locality, and based on this great detail choose the ones you like—the options are endless! Many times we forget the details, sometimes we think the atmosphere will be like in magazines, but don't deconstruct it in order to replicate the effect. To do this we recommend placing decorative elements that are in harmony with the environment and that are easy to adapt in this room. 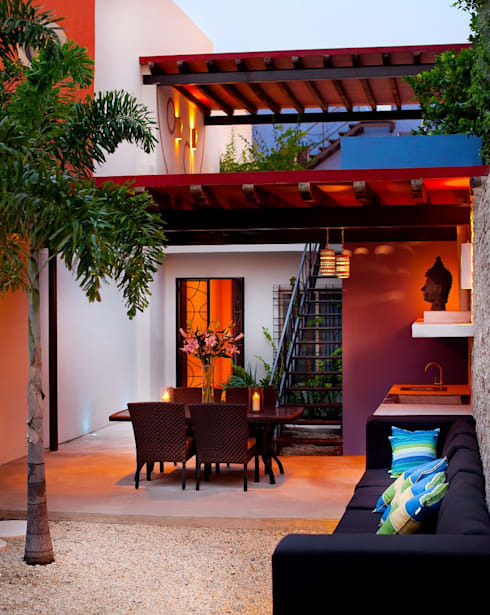 Integrating art pieces and beautiful fixtures can make all the difference in your courtyard and add elegance and style at the same time. Play with colours and textures for each piece. A very conventional way to give importance and personality to a space, is by integrating furniture. The best way to do this is by placing pieces that can be used to humanise the area. In this way, people can sit and enjoy a natural environment while coffee is made. Look, with this detail you're breaking with established conventions by placing a sofa or chair just outside its original environment, which attracts attention. 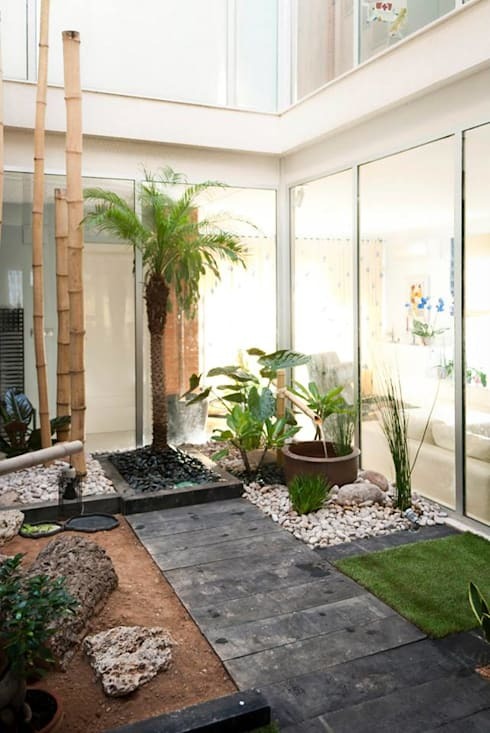 For those who love simplicity and keep looking between the outside and inside of the house, the best you can do is place minimum elements in your home for the landscaping to stand out. 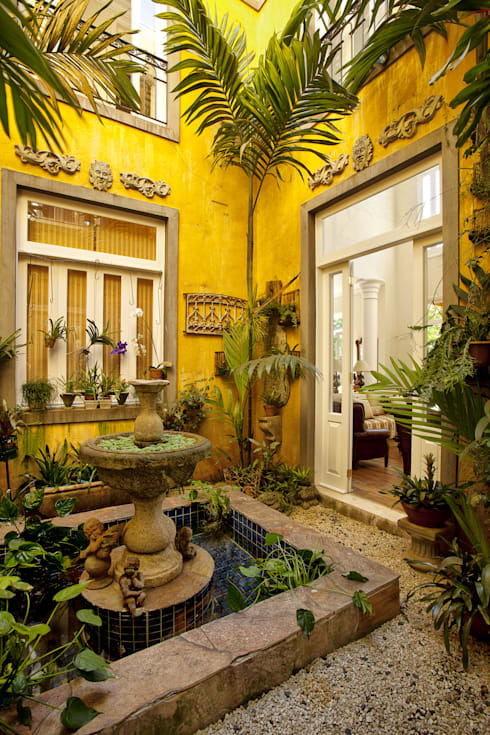 If your house has a very striking courtyard like this, and also has a tree that defines the area, it does not need to place much more ornamentation. Rather take to simplicity to accentuate the beauties of originality and composition provided by mother nature. If you want to have a cosy patio and attract all eyes, just place lights in the trees and plants—you will see how easy it is! Light has always caught our attention and always will, its incandescent glow seems to us one of the most beautiful elements we must take advantage of and place in different areas of the courtyard. Place them above the tree branches and especially on floor level in corridors and on steps. If you have the space, you must try to install a fountain, there is nothing better than enjoying a place full of nature. Imagine how it would look like if your central courtyard contained nothing but a beautiful fountain as big as this. The dimensions will be determined by the budget, and depending on the size, it will be more or less expensive. Once you have installed the feature and have it ready, place beautiful, lush plants around it to make it stand out even more. 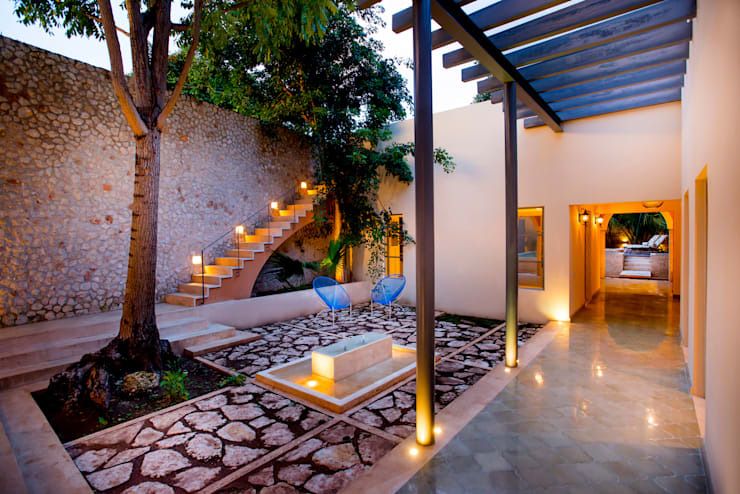 Believe it or not, there are structural elements of the residence that will work for you in a decorative manner. Embellished stairs are a very important feature that can highlight some plants and flowers that blend with the environment, making everything look prettier. 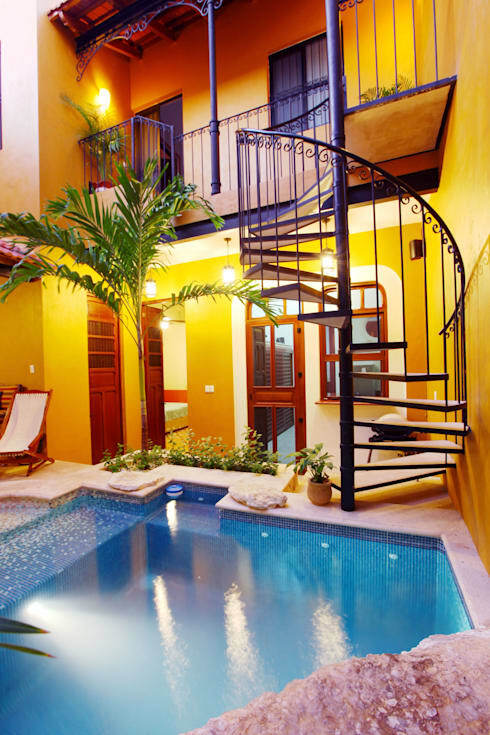 Wrought iron stairs give spaces a very European feel and are quite striking in addition to balconies. We recommend illuminating the area to highlight every detail of your patio. 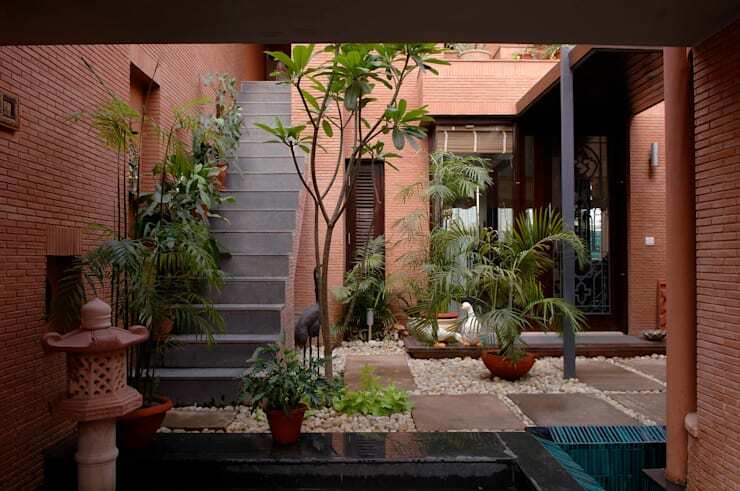 To have a beautiful home garden, the best you can do is include Japanese-style elements which offer unsurpassed beauty. In such a design, there are delicate items and exotic flowers everywhere. No matter if your home does not include the style otherwise, the idea is that you integrate a new area in your home and you will fill it with the best possible energy. You could even practice meditation if you want, you just have to put down a mat, incense and some scented candles. In the world of landscaping, this trend does not stop. Vertical gardens have come to stay and are very good decoration tools. 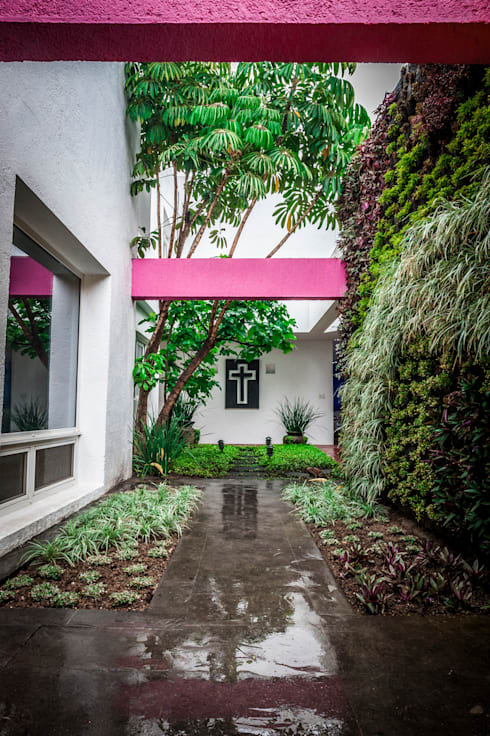 They allow the leverage of the beauty of the plants by coating walls with different types and colours to create interesting textures in the environment. What you should consider is maintenance, because it requires great care and detail in relation to irrigation. For nature lovers, size should not matter, and it is best to take advantage of a corner of the house so you can enjoy a small garden. If you live in an apartment, dedicate an area to distribute potted flowers and plants. You must also take into account the time that will be required for maintenance. Do not think that because they are small, they don't require care! In case you did not know, plants can also be material for decorating the courtyard. With a beautiful tree in the centre, you can make it the focus of the room. As noted in the photograph, this beautiful plant is located just below a skylight. 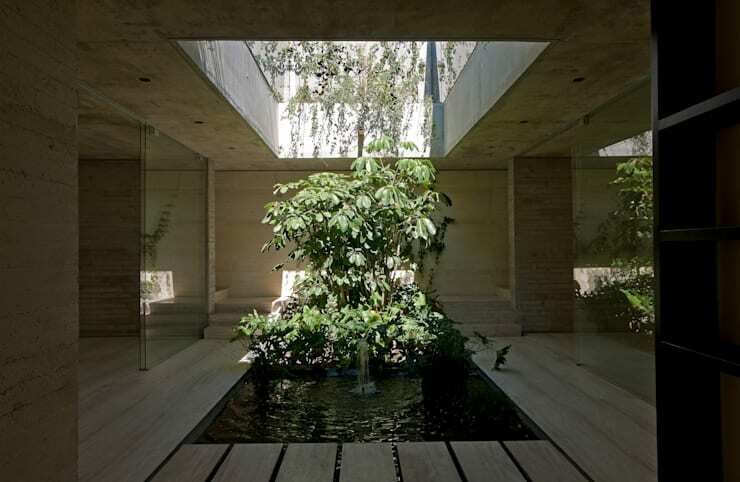 The most interesting thing is that the composition looks like something in a box, along with the water feature and other details of the ensemble. 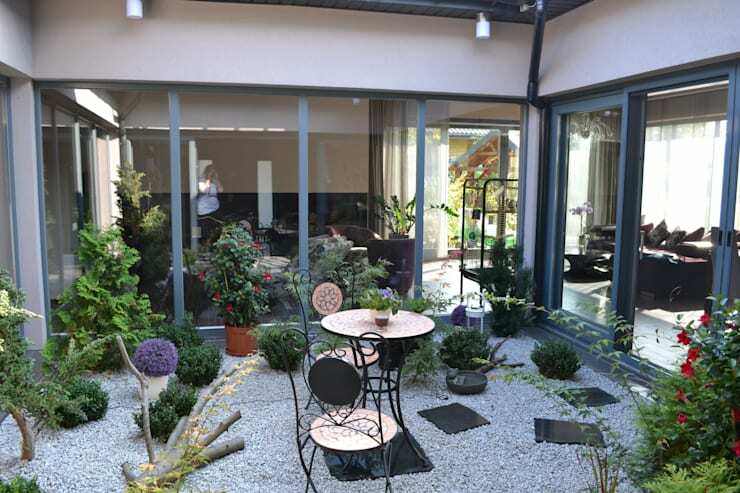 This ideabook was packed with inspirational models, so no you can go: Improve your own courtyard in a few simple ways. Which one of these courtyards did you like the most?